Seemingly embedded into the very fabric of football’s make-up, money has become a major talking point of the modern game. As clubs such as Manchester City and Paris Saint-Germain ride the chequebooks of Middle Eastern benefactors, and traditional powerhouses like Manchester United and Real Madrid cash in on their global brand, fans often claim to see the death of the beautiful game coming on the horizon. It is easy to see why financial issues have become the key focus of a lot of football conversations; there is often the suggestion that the influx of money has created a culture where clubs are less willing to spend their energy nurturing players from their own youth systems. For the larger clubs, this represents a limited problem. They have the money to counteract the effects of this policy, and any transfer mistakes can be rectified in the following window with another purchase. 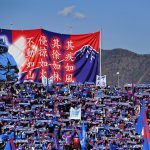 For those sides who are traditionally viewed as selling clubs, mistakes in player recruitment can be costly and see the club falter in their competition performances. Currently running clear at the top of the Bundesliga, Borussia Dortmund have come to define the selling club ideal, especially in the years since the appointment of Jürgen Klopp. Star names like Marco Reus, Mario Götze and Robert Lewandowski were all recruited for small fees, developed into outstanding players and eventually, in the case of Götze, sold on for a large profit. Ajax are another who have often been labelled as a selling club, although they historically produced their own players from their world-famous youth academy, most notably winning the 1995 Champions League with a largely home-grown squad of players led by Louis van Gaal. Regardless of whether a club buys players cheap or develops them through their own system, there appears to be a pattern that emerges amongst all clubs following such a model. After a period of success, the focus switches from talent production or exploiting the gaps in the transfer markets and more players are bought, often for large sums of money, and the chain that allows these clubs to operate at a high level is broken. Strangely, the breakdown of the system might well be a good sign for the clubs in the longer term. Dortmund, Ajax, PSV, and Lyon all went through this process and currently find themselves battling for silverware – Dortmund are top of the Bundesliga, PSV and Ajax are battling for the Eredivisie. and all four impressed on the European stage. Their current successes are a message of hope for Southampton and Monaco, two such selling clubs who have seemingly lost their way. The switching of focus from transfer dealings to creating a club philosophy has once again allowed these sides to prosper, lessening the effects of the loss of a player or manager. It is the path that Southampton and Monaco ought to follow. The examples of Ajax and PSV are particularly telling as it has been a model they have been pioneering for the majority of their existence. 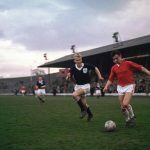 Even back in the days of both clubs being elite on the European stage, with five European Cups between them, the star names would ultimately move across Europe, often to Italy or Spain. Johan Cruyff and Ronald Koeman both joined Barcelona, from Ajax and PSV respectively; Dennis Bergkamp left for Internazionale; while Frank Rijkaard, Marco van Basten and Ruud Gullit all swapped the Netherlands to star in Arrigo Sacchi’s AC Milan. Even with the Dutch tradition of developing their own players to replace any outgoing first-teamers, there was a period of turbulence that both Ajax and PSV had to go through. Back in 2008/09, a club outside of the traditional big three (Ajax, Feyenoord and PSV) won the Eredivisie for the first time since 1980/81, with AZ claiming the title. followed a year later by Twente. It was a wake-up call for Dutch footballing powers, with Ajax undergoing their infamous “Velvet Revolution” in the years after, with Cruyff and a group of ex-players taking control of the club and refocusing the attention on the promotion of young talent. A run of four consecutive titles followed, and the true benefits of the rebuild of De Toekomst have begun to show themselves on the European stage. As described in Stillness and Speed, Bergkamp’s semi-autobiographical book, the ultimate aim is for Ajax to be regularly in the final eight of the Champions League. Led by home-grown prospects Matthijs de Ligt, Donny van de Beek, Kasper Dolberg and Barcelona-bound Frenkie de Jong, who joined Ajax as a 17-year-old, the Amsterdammers successfully navigated their group this season unbeaten, including two high-quality draws against Bayern Munich. There is an impression within the Netherlands that Ajax have departed once more from the production of youth talent, with Dušan Tadić, Nicolás Tagliafico and Hakim Ziyech all brought to the club for significant transfer fees. The sense that Ajax have brought these players to the club in an attempt to buy their way back to the Dutch title certainly carries weight, but the signings could easily be justified as a reinvestment of the Davinson Sánchez sale and the recent influx of players trained in the Ajax way shows the continued strength of De Toekomst. The same logic that Ajax have used to discover the talents from their youth set-up has also been deployed by their main rivals PSV, contributing to the extremely close nature of the title race this season. In a similar fashion to that of Ajax, the PSV youth system is primarily run by players who were successful first-teamers for the club, a factor which head of academy Ernest Faber believes is a crucial one. Himself a product of PSV’s academy, Faber sees the integration of ex-PSV players into the club’s hierarchy as a critical step in helping to keep them at the pinnacle of Dutch football. Whilst talking with Faber prior to PSV under-23’s match against their counterparts from Manchester United, he outlined that each level of the academy is run by an ex-player, to provide the experience, and a more qualified coach, to provide the expertise. By filling their academy with players trained in the PSV way, the club can ensure that there is a continuous development of players capable of stepping into the first-team when required. With the financial changes in the game, Ajax and PSV need to be thinking ahead. For example, in the case of PSV’s highly-rated midfielder Hirving Lozano, the club has to be prepared for the departure of the Mexican star, especially with some of Europe’s biggest clubs interested, and the best way to quickly adapt to any departure is to have a player trained through the system immediately ready to step in to the first team. The player production line at PSV is as storied as their more illustrious counterparts from Amsterdam, and with Cody Gakpo, Jorrit Hendrix and Steven Bergwijn the most recent crop of players to infiltrate the first-team, the academy looks strong. It is a system which has clubs like PSV constantly trying to find the best way in which they can progress the quality of their academy. As Faber stated, the training model has changed over the years, with power and tactical training beginning earlier, usually aged 13, and there is a greater rigidity to the training structure with a 9-5 approach rather than simply training either four or six times a week. By operating under this policy rather than attempting to sign new players to replace the outgoing ones, Ajax and PSV have placed themselves in a strong position in relation to their financial muscle. With both teams competing in one of Europe’s closest title races, they have impressed the watching public in their respective Champions League campaigns, with PSV putting on a strong showing in a group containing Barcelona, Tottenham and Internazionale. It is a long-standing belief in football that the Dutch produce technically exceptional footballers with a strong focus on giving youngsters a chance, but just a short 95 miles east of PSV, in Dortmund, a similar process has begun. Borussia Dortmund, known for their passionate support, established themselves as one of the leading selling clubs in the world during the years of Klopp, winning two league titles and reaching a Champions League final whilst rarely spending an inflated transfer fee. Key players in Lewandowski and Reus were signed for €4.5m and €17m, while Götze came through the academy. It was a policy that worked successfully for BVB, but after the departures of Klopp, Lewandowski, Götze and other key individuals over a couple of seasons, the process of buying cheap players and developing them tried up, with the signings becoming less influential as the years passed. This is the stage which both Southampton and Monaco currently find themselves, with the scouting networks that have been so successful in finding talent drying up before them. The tale of Dortmund is a useful case for those clubs to see how best to progress from their current slumps. Perhaps it is an inevitable turn of fate for clubs that operate in a buy low, sell high strategy that the clubs from which they sign their players start asking for greater sums of money for their prospects. Having seen Dortmund sell their star names regularly and replace them with lesser-known talents, a club being contacted by BVB over a player sale is inevitably going to ask for a larger transfer fee and possibly a sell-on clause to increase their profits. This problem befell Dortmund, and other selling clubs, after their period of success, resulting in spending more money on lesser-quality players. Although they have qualified for the Champions League in four of the five seasons since they last won the title, the closest Dortmund have been to champions Bayern Munich in those years is 15 points. The downturn reached its apex back in 2014/15, with BVB languishing in the relegation playoff place as late in the season as matchday 20. After Klopp left, having dragged the team into the Europa League qualification spots at the end of the season, current PSG manager Thomas Tuchel took the helm but could only last two seasons. With neither Peter Bosz nor Peter Stöger able to establish themselves in any long-term capacity, the challenge for Dortmund came in having to worry about the impact that a high turnover of managers can have. Replacing a manager of Klopp’s standing at Dortmund was never going to be an easy task and the rotation of managers who have since tried to make the club their own has seen a continuous need to spend in the transfer market to allow each manager to stamp their own identity on the squad. 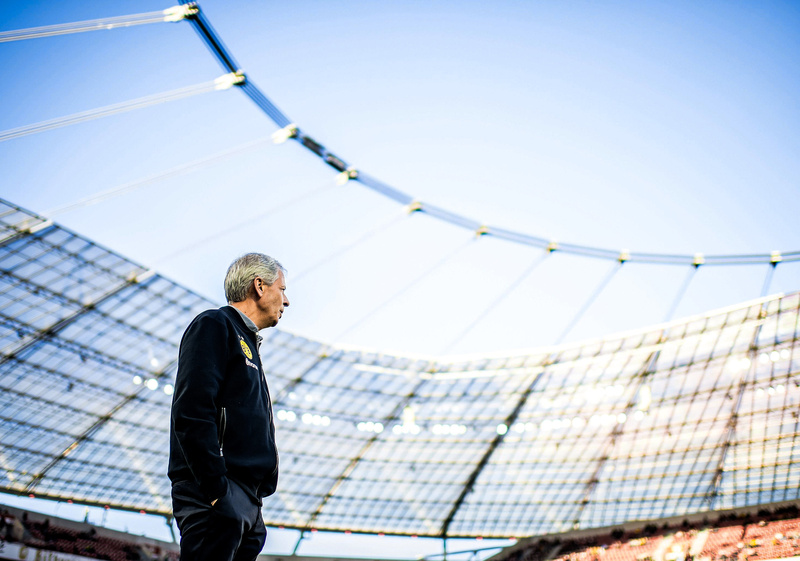 After Tuchel and Bosz’s inability to take Dortmund back to the top reaches of German football, the appointment of Lucien Favre prior to the current season, as well as the benefits of improving their academy products, has seen them set the pace for the Bundesliga all season. Yet the leading light for the club has been Englishman Jadon Sancho, who has ousted American starlet Christian Pulisic from Dortmund’s plans and has been in scintillating form all season. His pace, trickery and direct running have caught the eye, including those of England manager Gareth Southgate who gave him his England debut earlier this season. His emergence as an immovable cog in the Dortmund machine highlights the importance of clubs trusting young players. One of the most dominant clubs in Ligue 1 during the first decade of the 21st century, Lyon achieved their great success by exploiting gaps in the transfer market and replacing their star names with lesser-known talents or, as in the case of Karim Benzema, their own youth products. The same issues outlined that Dortmund, Ajax and PSV, and that are currently facing Monaco and Southampton, were met by Lyon at the turn of the decade, and the storied club have struggled to recapture that level of football since. 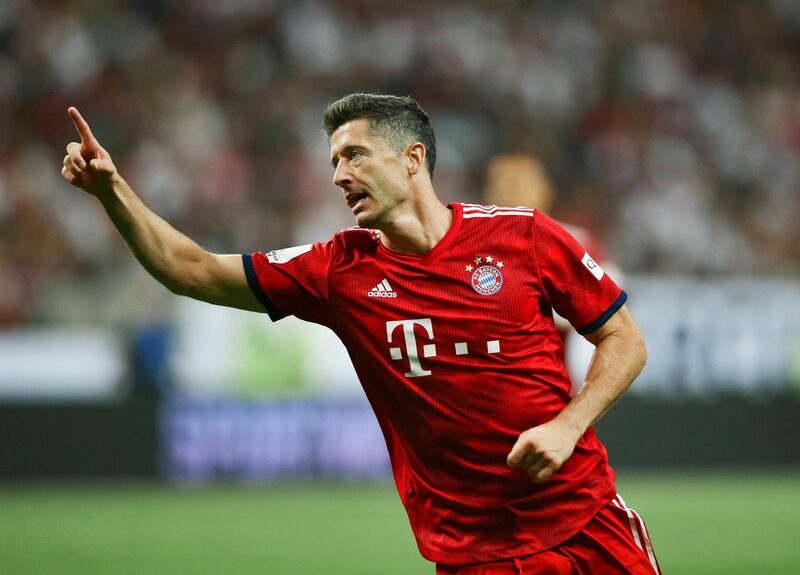 This season, however, OL have begun to display moments of scintillating quality, including a much-deserved victory over Manchester City on the European stage and at home against Paris Saint-Germain, but the team has been beset by inconsistency. Unbeaten in Europe and securely in third in Ligue 1, Lyon have impressed many neutrals with their style, especially in that victory at the Etihad and, much like the other clubs mentioned, they have been led by players who have been well-versed in the Lyon way. Academy product Nabil Fekir is the heartbeat of the squad, as both the captain and the key man, often deciding games with moments of individual quality. His influence can be seen in others, with the younger players able to look to Fekir as someone to emulate. Ferland Mendy, Tanguy Ndombele, Lucas Tousart and Houssem Aouar are all helping to catapult Lyon back up towards the top end of French football and are being linked with high-profile, expensive moves away from the southern city. If those players do end up leaving for greener pastures, the renewed focus on the academy and a buy low, sell high model should stand them in good stead. Young players who can train in the same set-up as the first-team will have an easier transition to the rigours of top-flight football, and by following this method, Lyon should be able to keep performing to a high-standard without relying on each transfer being an instant success. After winning the title in 2016/17, Monaco have seen a radical overhaul of their playing squad, with €530m brought into the club from sales of first-team players, with stars like Kylian Mbappé, Bernando Silva, Benjamin Mendy and Fabinho all departing. The team that manager Leonardo Jardim has been left with has vast potential but is a far cry from the title-winning squad of just a few years ago. Even Southampton, who haven’t reached the same heights as Monaco, struggled to keep their transfer policy running smoothly as key names like Virgil van Dijk, Sadio Mané, Luke Shaw and Adam Lallana were inadequately replaced. It meant that the Saints dropped ever closer to the relegation places in the Premier League. The arrival of Ralph Hasenhüttl as the manager has reinvigorated the fortunes of the side, with his appointment more in tune with those of Southampton’s best period when Mauricio Pochettino and Ronald Koeman were in charge. Since taking charge there has been a drastic improvement on the results being achieved under Mark Hughes, and the influx of young players has grown the hopes of Saints fans for a brighter future. Yan Valery, Michael Obafemi and Callum Slaterry have all been given opportunities under the Austrian, whilst promising goalkeeper Angus Gunn was rewarded with a first Premier League start, keeping a clean sheet and earning the man of the match in a 0-0 draw with Chelsea. Even James Ward-Prowse, once touted as a future England star, has seen his fortunes revived having come back into the first-team and discovering his scoring touch. All of the clubs mentioned are competing in a market with much bigger fish than themselves and have to operate in a different way in order to sustain their success. By adapting their policy and refocusing their attention on producing a playing style suitable for all age groups and allowing their young players to step into the first-team earlier, Ajax, PSV, Dortmund and Lyon have set themselves up for productive seasons. Their buy low, sell high policy is also enabling them to make shrewd signings, backing up youngsters coming through the system to maintain a position at club football’s top table.